In biology-speak, almost any shelled mollusk can produce some type of pearl, under the right circumstances. Take the Pearl of Lao Tzu, a naturally occurring non-nacreous pearl that was found in the Philippines in 1934, which came from a clam! The pearl is the only gem in the world produced by a living animal that needs no cutting or polishing. 2) The color of South Sea pearls depends upon the color of the oyster’s lips! Black South Sea pearls are produced in the waters of Tahiti and Okinawa from black-lipped oysters. The silver-lipped South Sea oyster produces white pearls with a satiny luster. Golden-lipped oysters produce warm, natural Golden South Sea pearls. 3) While the primary objective for the harvesting and cultivation of pearls is for use in jewelry, the gems have also been crushed into cosmetics, medicine and paint formulations. Pearl powder, made from pearls that do not meet the grading A system of luster, shape, color, surface and size, is widely used to keep skin healthy in Asia, clearing up acne, healing scars, sun spots and reducing lines and wrinkles. It is known to be good for stomach and abdominal disorders. 4) Legend has it that to show her wealth and power, Cleopatra made – and won – a bet with Roman leader Marc Antony that she could spend 10 million sesterces on a single meal. She did so by dropping a pearl into vinegar and, once it dissolved, swallowed it. The story could well be true, as research by classicist Prudence Jones showed that a five percent solution of acetic acid can dissolve a one-gram pearl in 24 to 36 hours, leaving a small amount of translucent gelatinous material on the surface. 5) Kokichi Mikimoto, who invented cultured pearls, believed that pearls aid longevity. It has been noted that he ate two pearls every morning. He did live to 96 years of age, following a life filled with many honors; he was appointed to the House of Peers; introduced to Thomas Edison; received in audience by Emperor Showa; and received by the Empress Dowager when she visited Tatokujima Island. Additionally, he was posthumously awarded the Grand Cordon of the Order of the Sacred Treasure. 6) Toba-Mikimoto Pearl Island is the birthplace of cultured pearls. Today, the destination is a tourist attraction with exhibitions of pearls and craft goods, where visitors can learn about how pearls are processed and watch ama (sea women) harvest oysters in a demonstration. 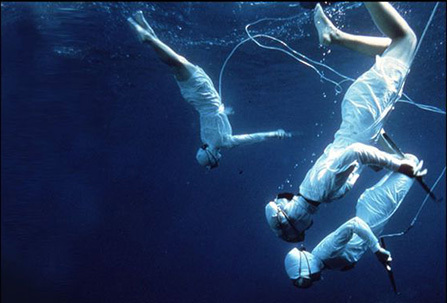 Generations of these traditional sea divers made their living diving to depths of 25 meters without any breathing apparatus, holding their breath for up to two minutes, often in freezing waters. It was their job to collect oysters from the seabed so that a pearl-producing nucleus could be inserted, and then carefully return the oysters in a protected place of seabed.